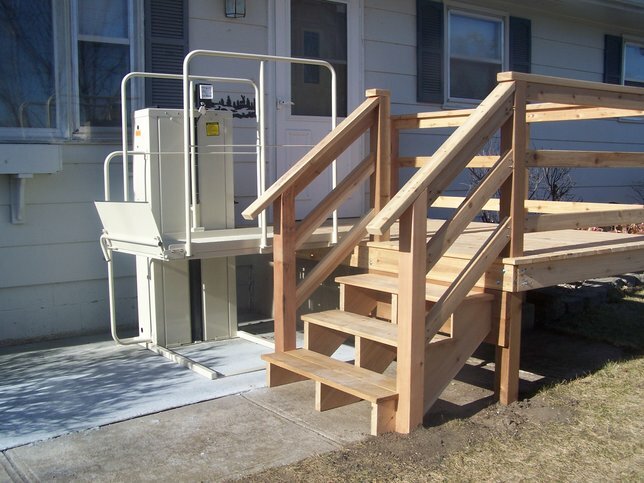 Vertical platform lifts can make it simple to reach an outdoor deck or porch. Often these platform lifts can be used instead of ramps that could take up an entire yard. A variety of configurations can be used to achieve the desired path need. Many options are available such as call/send controls, safety pans, upper landing gates, and interlock systems.